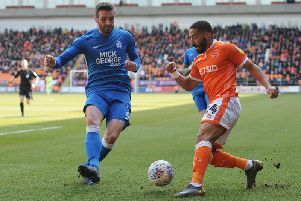 But Saturday’s defeat against Peterborough United provided a bit of a reality check, highlighting just how far Blackpool have got to go to become a genuine promotion contender in the third tier - with new owners and renewed backing or not. I’m sure the Posh can play better than they did at Bloomfield Road, but the fact of the matter is they didn’t really have to hit top gear to take home the three points. But they did look capable of going up another level at any given time. But comparing the two squads, the money that has been spent and how the respective clubs have been run in recent years, it’s credit to Blackpool they’re evening competing with them. Remember, this is a club that does things right off the pitch in terms of their transfer policy and their investment in young and up-and-coming players from the lower leagues and the non-league scene. Their goalscorer, Marcus Maddison, was reportedly bought for a fee of £250,000 with the potential to rise to £500,000, and has subsequently been linked with clubs higher up the pyramid. Lee Tomlin is a player that has plied his trade in the Premier League and Championship in recent years and won’t have returned to London Road for a small salary. Siriki Dembele was bought for a six-figure fee from Grimsby Town, while George Cooper, also signed for big money from Crewe Alexander, could only make the bench. If anything this demonstrates how well Blackpool have done just to be competing with a side like Posh, who at the start of the day were just one place above them in the league table. Getting Pool to a place where they can seriously challenge for promotion from League One will likely take a lot of money, time, patience and support. It will also require more firepower up front, with Pool’s failure to score against Peterborough the 15th occasion where they haven’t found the back of the net in the league this season. Seven of those goal-shy games have come at home. When opposing sides come to Blackpool and sit back, putting the onus on them to attack, the Seasiders simply don’t have the arsenal to break down defences. In the end they were left to rue a drop in concentration two minutes before the break, as Maddison lashed home with a clinical finish after Pool had been carved open with alarming ease. Yes, there was more than a strong suspicion of handball in the lead-up to the goal but it’s unforgivable to simply switch off in such a fashion. There’s plenty of occasions where decisions will go against you - as they did on Saturday against a weak referee - but you can’t afford to remain stationary and wait for the official to blow his whistle, a decision that never came. As it turned out, Peterborough had the ball in the back of the net within a second or two as a long ball forward fell kindly for Maddison, who took advantage of the sea of space to lash home high into the net, giving Christoffer Mafoumbi no chance. The pitch has again been blamed for the below-par display but it’s only so long that excuse will wash. Yes it’s bad, but as Blackpool fans will know it’s been far worse in the past. Coventry City’s Ricoh Arena surface was in a similar state earlier in the season and yet Pool still managed to come away with a 2-0 win. The simple matter of the fact is Peterborough have better players who were more adept at controlling and passing the ball. Far too often Pool were guilty of poor touches, where the ball went astray before they could even look to find a teammate. I also struggle to remember the Seasiders stringing two or three meaningful passes together in the opposing half at any point during the 90 minutes. What also didn't help was Darren Ferguson getting his tactics spot on, with his side constantly swarming Pool’s midfield and overrunning Jay Spearing and Matty Virtue time and time again. At times it looked as though Peterborough had a man extra in the centre of the pitch. Perhaps Pool’s lofty league position gave boycotting fans a glimpse of hope that this side could contend for a top-six finish, but in reality it was always a long stretch. The Seasiders have performed superbly to get as high as they have but now they’ve dropped down to 10th, 11 points off sixth-placed Doncaster Rovers, perhaps reality will now set in. 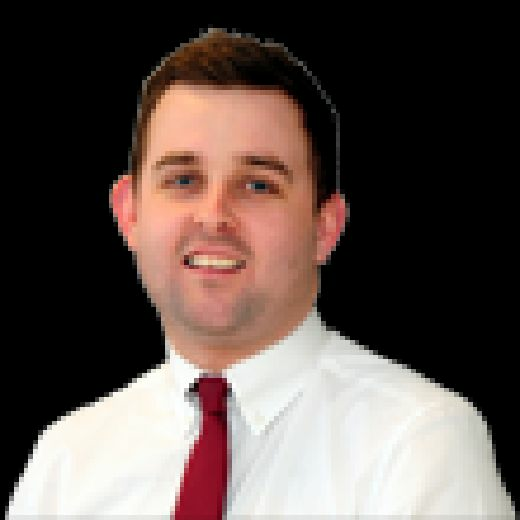 In any matter, a promotion to the Championship would be the last thing the Seasiders would need this season - the club simply isn’t prepared for it on or off the pitch. While Saturday’s game was another disappointing day at the office on home turf, the real result of the week was the EFL's welcome decision on Thursday not to award the 12-point deduction. The club now has clarity and can concentrate on what it needs to do over the coming months. For some, that body of work might be a little bigger than was initially expected. Results and quality of football are clearly the priority, but in the short-term the only thing that matters is that Blackpool fans have their club back.